Diversity and enchantment await you on a Globus adventure through Atlantic Canada. 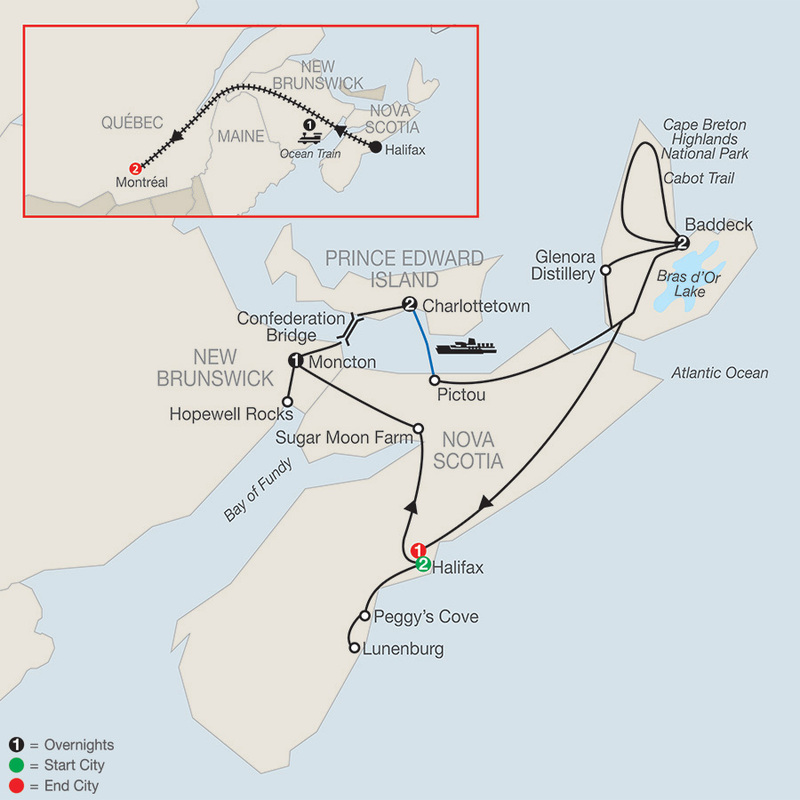 Discover the distinctive French culture of romantic Quebéc City, Canada's only walled city…or check out Newfoundland & Labrador, Canada's easternmost province, where you can go whale watching, cruise through the "Seabird Capital of North America," and explore North America's only known Viking settlement. 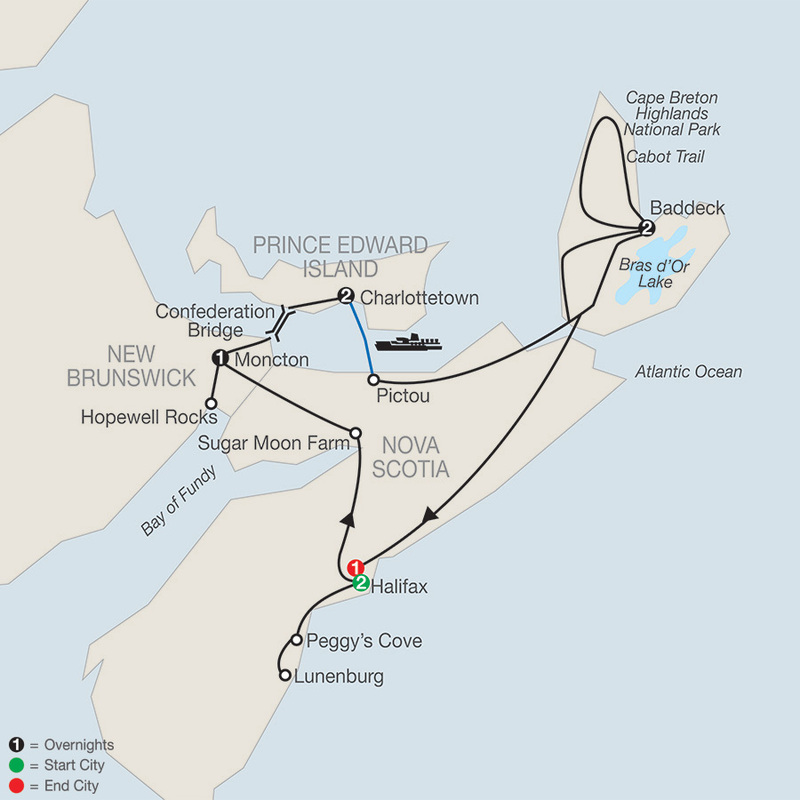 Also consider spending time in Nova Scotia exploring the iconic lighthouse at Peggy's Cove, the scenic Cabot Trail, and the many national historic sites…or Prince Edward Island, ideal for beachcombers, birdwatchers, and home to vibrant Charlottetown, the provincial capital, and the farmhouse from literature's famous novel, Anne of Green Gables. Plus, with Globus, you'll get experiences you won't have with any other tour company, like a traditional Jiggs Dinner, a private culinary demonstration on the Digby Scallop, and more! 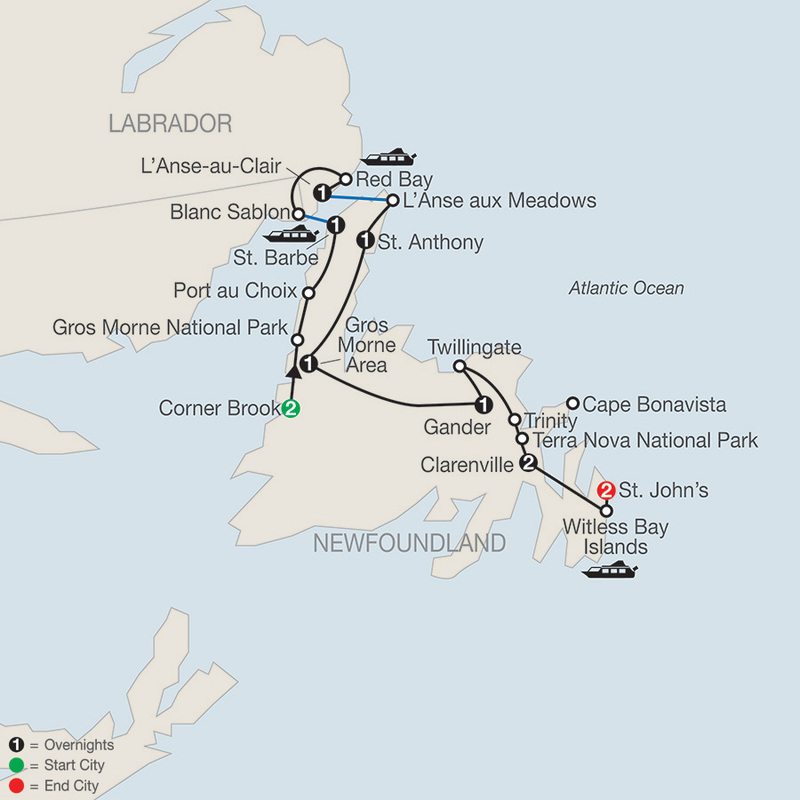 Breathtaking scenery, historic sights, and fun experiences await you on this Newfoundland tour with overnights in St. John’s and Clarenville. History buffs will enjoy the historic walking tour of Trinity, one of North America’s oldest communities. At Cupids Cove Plantation, ...Read More. 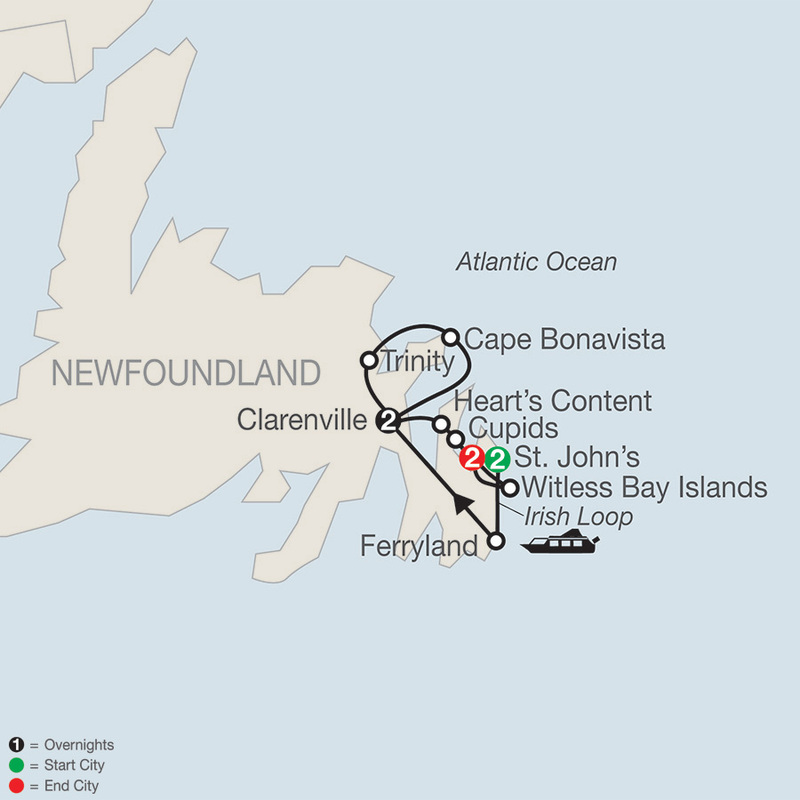 With cruises, ferry crossings, and visits to several UNESCO World Heritage Sites, this breathtaking vacation features the best of Newfoundland and Labrador—with overnights in Corner Brook, St. Barbe, L’Anse-au-Clair, St. Anthony, Gros Morne Area, Gander, Clarenville, and St. ...Read More. 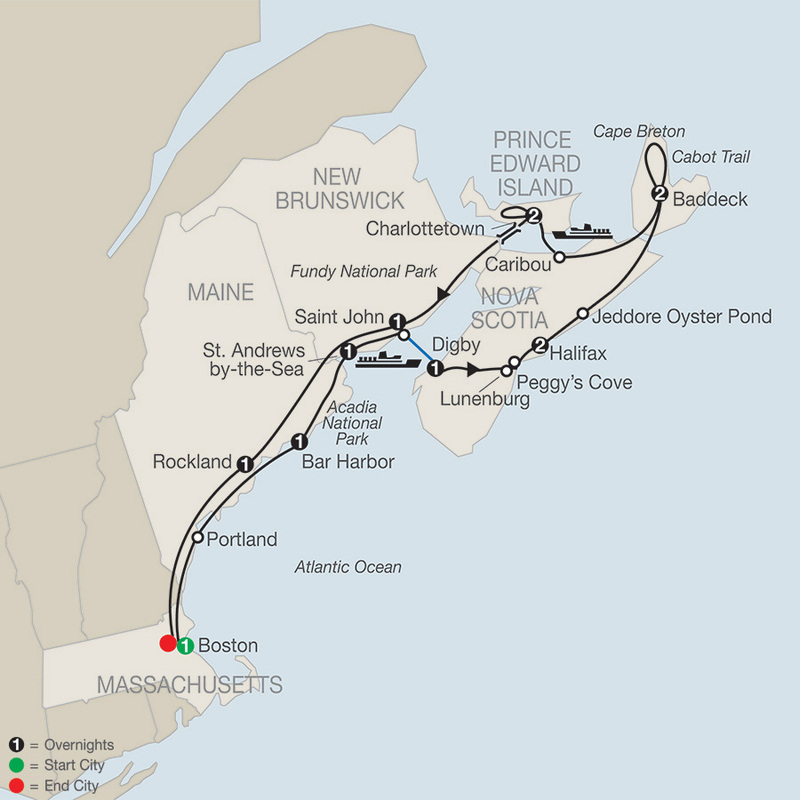 On this Maine and Eastern Canada tour, get acquainted with the local culture, charming villages, and seafaring traditions of Nova Scotia, Prince Edward Island, Cape Breton Island, New Brunswick, and Maine. 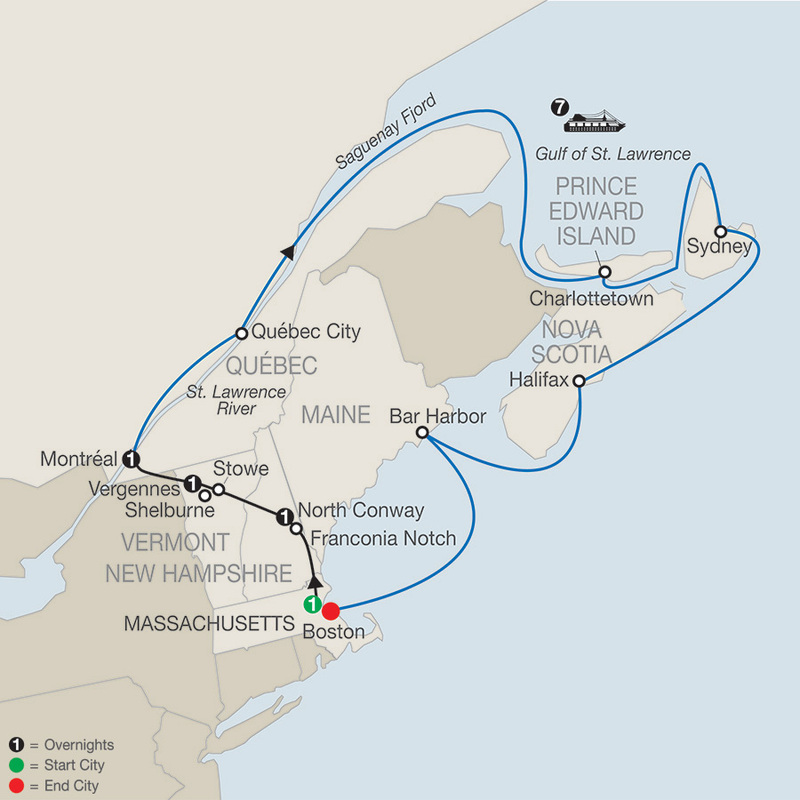 Start and end your vacation in Boston with overnights also in Bar Harbor, ...Read More.